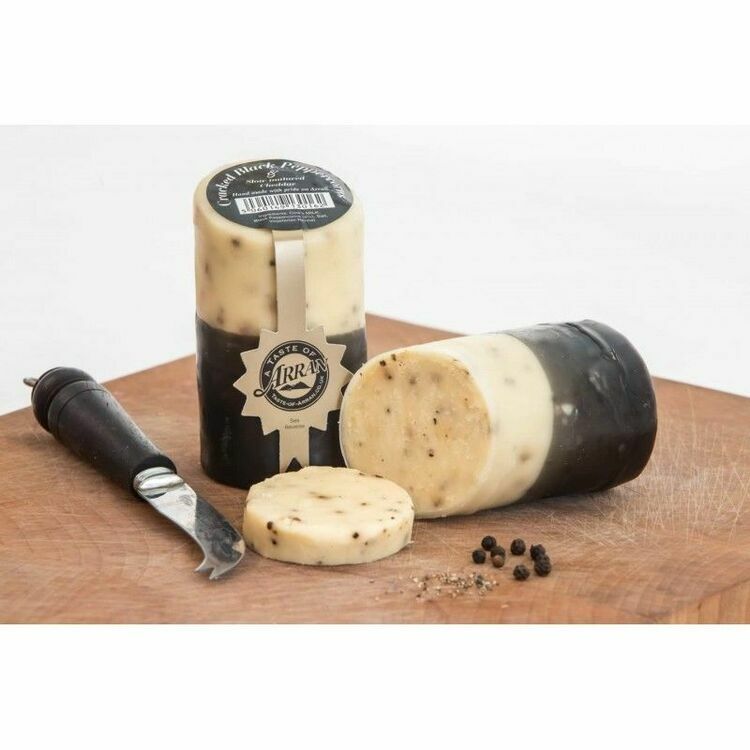 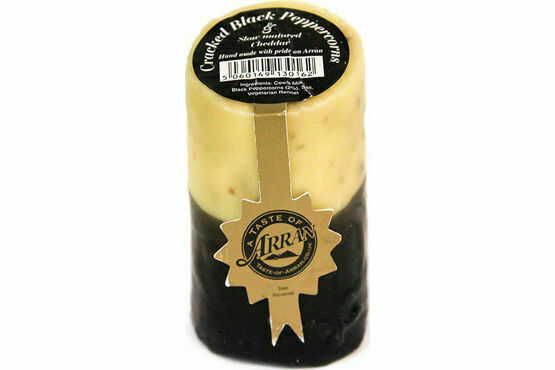 A deluxe truckle cheese with cracked black peppercorns - delicious! 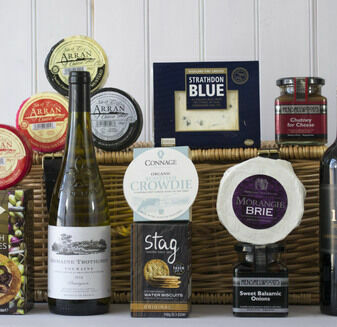 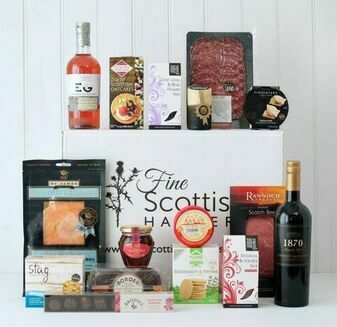 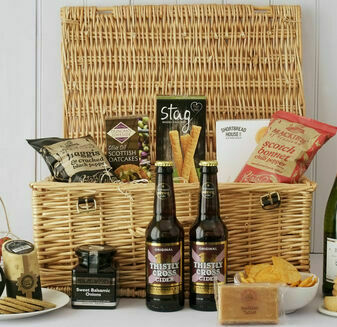 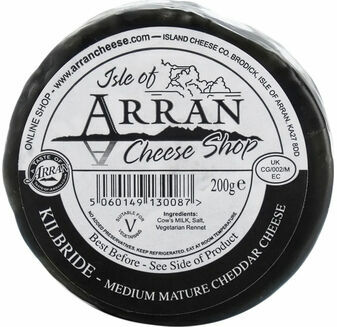 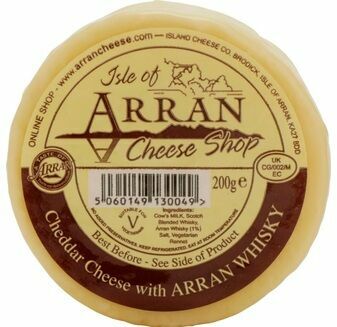 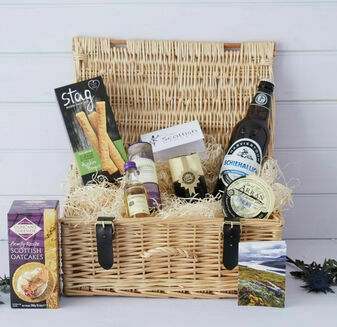 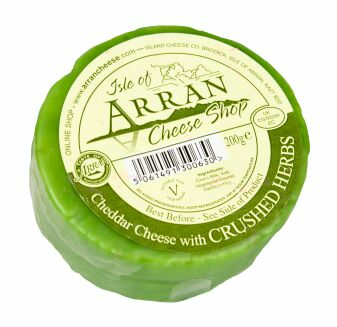 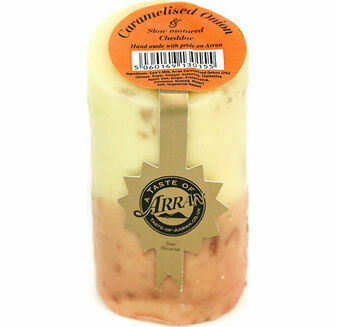  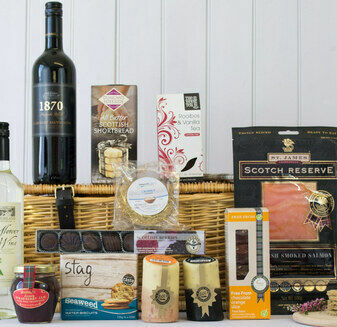 A smooth and glorious cheese made by a family run business on the Isle of Arran, this cool cheddar combines with the peppery kick to give a taste to die for. 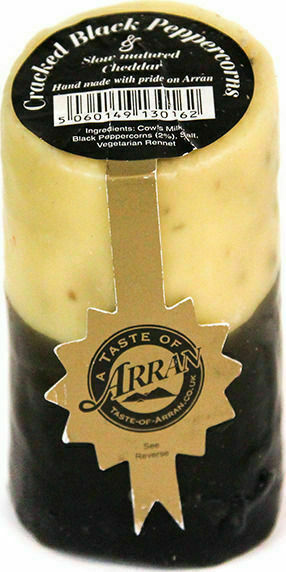 Cow's Milk, Arran Caramelised Onion Chutney (2%) (onions, sugar, spirit vinegar, colouring E150a Caramel, thickening agent (maize), sea salt, ginger, preservative (E202, Spices, water)), salt, vegetarian rennet.